Large increases in R&D investment in the Pharma sector have not driven new drug discovery and manufacture. The drug discovery pipeline is frustrated as ~65% of small molecule drug projects failed; critically only 23% failed before clinical trial (i.e. were, fast, cheap fails). Given the ~£1.5B cost of running clinical trials for the remaining candidates, there is clearly significant financial waste in this sector, which drives up the costs of final drug products. To solve the issues of safety and efficacy prediction prior to human clinical trials, we need to develop validated tissue/disease models and a better understanding of drug target and tissue dose exposure. 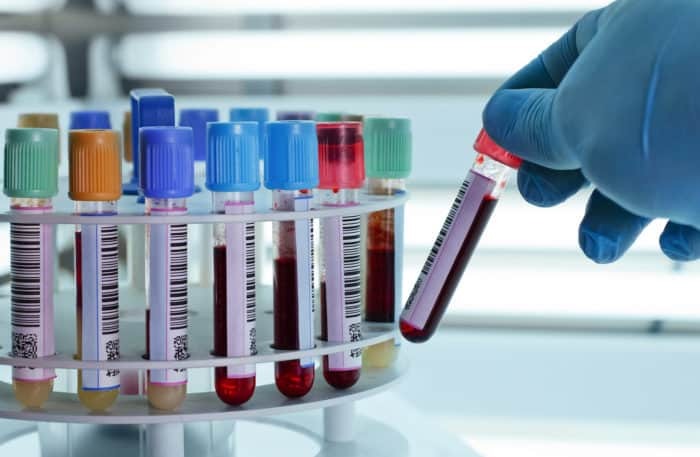 To achieve this we need to change the way drug screening is performed as it is the current reliance on overly simplified cell cultures and non-human animal testing that is driving poor productivity. However, in recent years, non-animal technologies (NATs) have started to emerge which represent more complex in vitro biological systems engineered from human cells and built using regenerative medicine principles. To meet this need, the lifETIME CDT will train engineering, chemistry, physics and mathematics students and to communicate effectively with, and work alongside, life science and clinical students, and vice versa in order to provide both NAT technologies and the next generation of talent and leadership to drive innovation and contribute to the UK bioeconomy. Over their 4 years with the lifETIME CDT, as well as their lab based PhD, students will undertake a range on skills training designed to help them network with stakeholders (industry, NHS, charity, funders and regulators) in the sector and to develop the skills these stakeholders are looking for in their future leaders. The cohort based training will forge a UK community of talented researchers with high value skills sought by the market and who can deliver change. 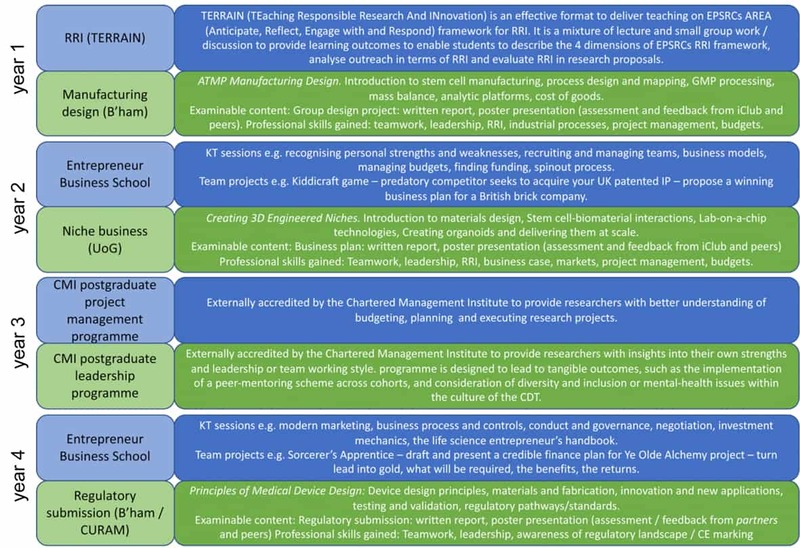 Illustrated below is the skills training programme that will give our students the skills not only to deliver world-class research, but also to make them sought after by employers. Each year, students will attend two retreats together to further develop professional skills and to strengthen the cohort.